[toc]Chest infections are commonly observed during winter and autumn seasons. It can affect individuals of all age groups with elderly and young children being the most susceptible of all. Even smokers and people who fall ill are at high risk of acquiring chest infections. Chest infections can be severe and require instant treatment. In many of the individuals with chest infections, who are healthy otherwise, no antibiotics drugs may be needed and they still get better quite rapidly. In case, the chest infections make one extremely unwell, then medical attention should be manifested. The main symptoms of chest infections include chest pain, chesty cough and breathing difficulties. One may also experience headaches with an elevated temperature. The two main chest infections observed in adults are pneumonia and acute bronchitis. 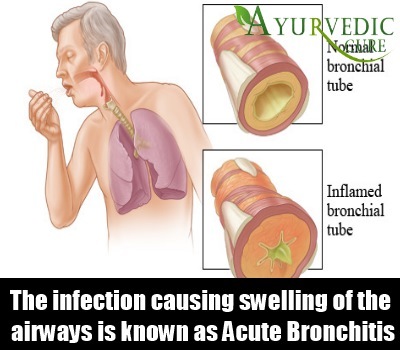 A chest infection that occurs in the larger airways (bronchitis) with buildup of mucus and pus and causing swelling of the airways is known as acute bronchitis. Acute bronchitis (large airways infection of lungs) is a mild condition that gets resolved on its own without any need of medical assistance. Its main symptoms include coughing up of green or yellow phlegm, dry mouth, wheezing, headache, a persistent chesty cough, breathlessness above the normal level on getting exerted, and high temperature of 38 C or above. In certain elderly individuals, there can be fall in temperature as a symptom of acute bronchitis. 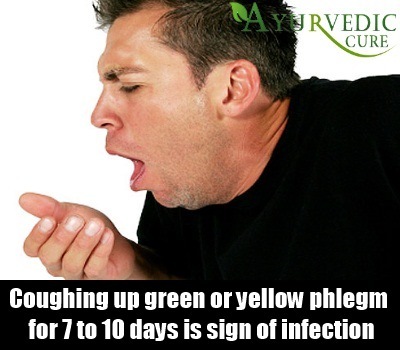 The cough lasts for 7 to 10 days and can persist for 3 weeks. Acute bronchitis results in headaches and a sense of feeling unwell, but these symptoms can also be the result of dehydration and therefore, it is vital to drink lots of fluid to overcome the dehydration cause. 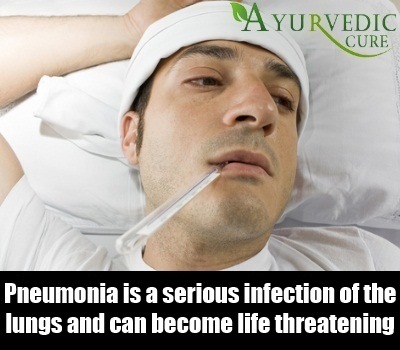 Pneumonia is a serious infection of the lungs and can become life threatening too. It is more observed during spring and winter times and may strike all of a sudden or appear slowly, showing symptoms over a period of a few days. The symptoms mainly depends upon the cause, form of infection whether mild, moderate or severe, any previous health problem and age. Major symptoms of pneumonia include rapid heartbeat, chest pain, breathing difficulties, a cough bringing up phlegm and high temperature of 38 C or above. In elderly, pneumonia symptoms may result in disorientation and state of confusion. The other less observed symptoms include fatigue, headaches, nausea, vomiting, coughing up blood, cyanosis (a blue tinge to the skin), loss of appetite with muscle and joint pain. The symptoms of acute bronchitis and pneumonia may appear similar, but symptoms of pneumonia are more profound and severe. Those showing symptoms of chest infection, irrespective of whether it is acute bronchitis or pneumonia must take measures to stop its spread to others. The infection can be easily passed through sneezing and coughing and therefore, very essential to cover up the mouth while one sneezes or coughs and to wash hands immediately, after every sneeze or coughing. Use paper napkins if washing is not possible every time. Discard the tissues appropriately in the dustbin. Get yourself immunized against the pneumococcal bacteria and flu (influenza) virus every year, if one is at high risk of developing chest infections. If smoking is the habit, get rid of it as soon as possible as it damages the linings of airways, putting one at more increased risk for developing chest infections. Quitting smoking will certainly lessen the risk of these infections.